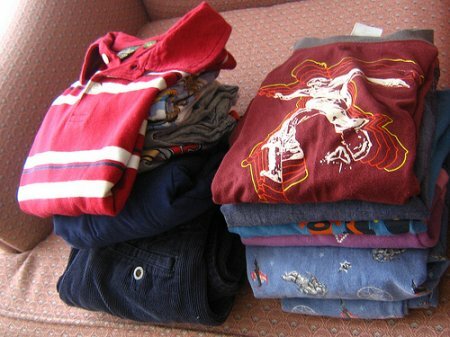 Choosing the best per for a small child can make for a difficult decision. The first thing you want to know before you and your child even choose a pet to get is the age of the child in question. The younger the child is the harder it may be to get a pet that fits them best. Even though the parent will be the primary care taker the pet must do well with small children. Parents should know that a child, unless they are old enough does not know all there is to know about how to care for a pet all by their self. You will want to think about what will be age appropriate for your child. For example a rabbit would not be a good idea for a child that is 3, they are more hyper and scratch. Pets are just like children they need love , attention, doctors visits, food, cleaning and even time to run around and play. So taking all that in to consideration i will list some of the best pets that are good for small children to own. Fancy Rats If you get a rat of course as you would with any pet you have to supervise them at all times with it. But rats are very sweet and nice. you have to get them in pairs though they do not like to be alone. Guinea pigsThey live for about 4 to 7 years. They are great companions. 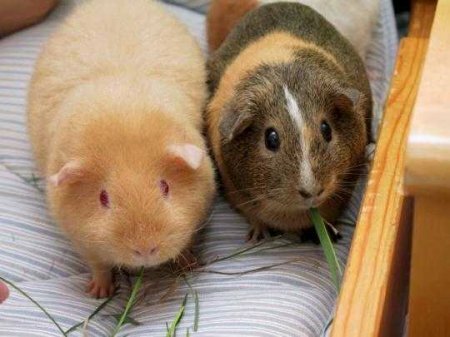 Guinea pigs are easy to train and take care of. DogsIf you get a dog when the child is very young then they will get a chance to bond and grow to love one another.They live about 12 years or so. Dogs love to be played with and ran all around with and so do children. As long as you are watching over them playing they would be great pets for a child. Fancy miceThey are small and easy to care for. They are also easy to tame if you get one as a baby. They need a partner though so you will have to get 2 but they are very cheap to buy. Fish They can be a bit boring because they can not be held but to have a small aquarium filled with all kinds of fish the child will love to sit and watch them and help fee ans clean their cages. hamstersThey are small, cute and cuddly. They are low maintenance and the child can help feed and change their cages, but you do have to watch that they do not try to open the cage their self. Leopard GeckosThey are easy to take care of and calm animals. For the most part they are slow moving and friendly towards people. I hope the information I have given you will help. Never leave your child unattended with any kind of pet, so they do hot hurt it and the other way around. A child will then fear an animal if it gets bitten or hurt and that is not what we want to happen. We want to teach the child the responsibility of taking care of a pet and showing it tons of good loving. 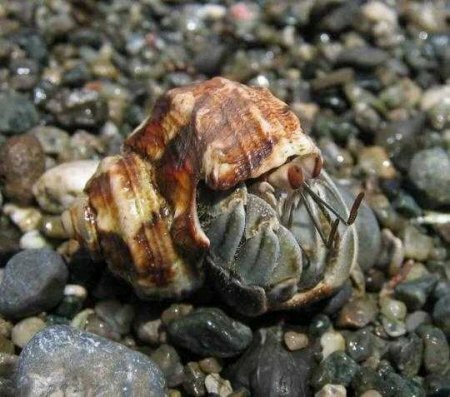 This is an image of a hermit crab. 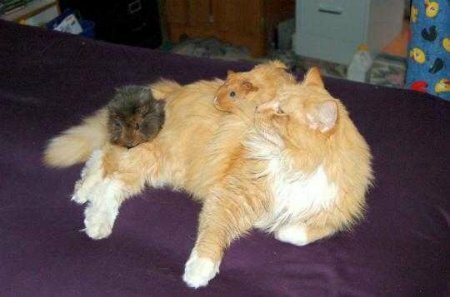 This is an image of a cat with 2 guinea pigs. 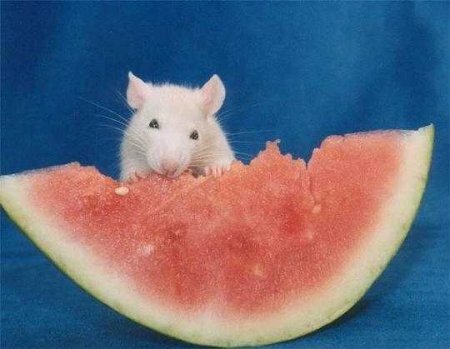 This is an image of a fancy rat eating a watermelon. Share a link to a page on Best Pets For Small Children and we will consider it for placement on this page.